Kolayca tüm veri kaybı senaryolarında kurtarma gerçekleştirin. Kapsamlı bir Windows veri kurtarma programı olan Do Your Data Recovery Professional size sabit disk ve medya depolama cihazlarında kaybolan verilerinizi kolayca kurtarma olanağı sunmaktadır. Uygulama Bilgisayar (Laptop, Desktop), Dahili /Harici Sabit Disk, Dijital Cihazlar, Hafıza Kartı, USB Flash Sürücü vb. ile çalışmaktadır. If you have activated previous versions of Do Your Data Recovery, you don't need to activate it again. After installing the 6.6 version on your PC, the software will be automatically activated if you have activated it before. My Google Chrome refuses to download the ZIP archive, saying: "DoYourDataRecoveryPro66_dn26st.zip is not commonly downloaded and may be dangerous. DISCARD!" I have never experienced this with any ZIP archive downloaded from GOTD. My Google Chrome refuses to download the ZIP archive, saying: "DoYourDataRecoveryPro66_dn26st.zip is not commonly downloaded and may be dangerous. DISCARD!" I have never experienced this with any ZIP archive downloaded from GOTD. Any suggestions? I had version 5.8 from an earlier giveaway. I installed it due to the positive response at the time. I just checked it and found it had reverted to a trial version. I find that unusual as I did not upgrade the program. I rarely opened it so I see no reason for it to go back to a trial version. Not very encouraging for me. I uninstalled it an will review the comments to see if this latest offer will be worth my time and effort. clicking and inaccessible,HDD and even erased HDD? Thank You all in advance for any advice. Please all experts , give me all possible advice which software can recover clicking and inaccessible,HDD and even erased HDD? Thank You all in advance for any advice. Madeleine, no software can, the drive needs to be physically repaired. Either the controller board or the mechanisim or both is faulty so the drive is not properly initialising hense the persistent clicking sound. 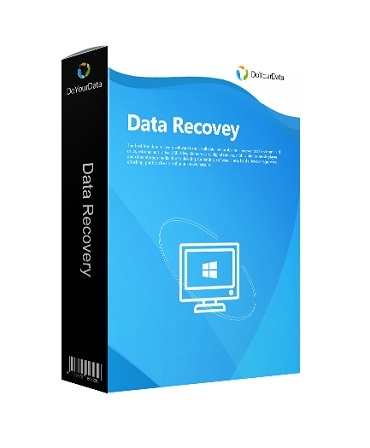 As you are asking this question you are not a data recovery professional so you'd need to take your broken drive to a data recovery specialist and they will determine the fault and replace the parts needed to get the drive to initialise and become visible to a hard drive interface on a computer and then either image the drives data to a new drive or attempt recovery of desired files to a new drive or optical media as you specify... it will not be cheap.